Going The Distance’s list of the NBA’s top 30 centers continues today with No. 15-11. Scroll down to the bottom of the article to find the previously posted rankings (No. 30-16). 15. 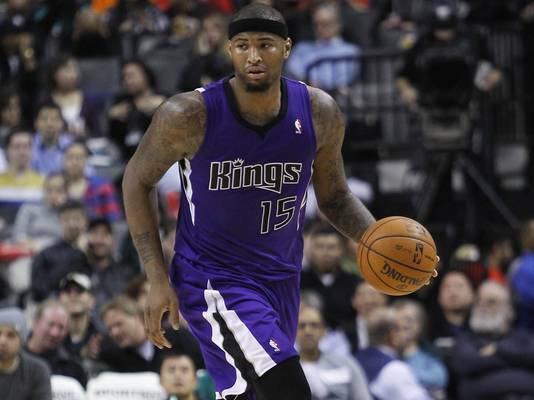 DeMarcus Cousins – Sacramento Kings: There is no denying that Cousins has top-10 center numbers. There is no denying that Cousins has top-five center talent. But, there is also no denying that Cousins needs to grow up. It may seem like a huge dock to rank him at 15 for being immature, but he hurts his team, and the team comes first in any sport. Cousins averages 17.2 points and 10.0 rebounds with 33 double-doubles and a triple-double (yes, he actually passed the ball ten times), which are certainly great numbers. He has strayed a bit from the “black hole” label he was given for rarely passing, which is also positive. But, he needs to learn to acknowledge double-teams and pass out of them to his shooters instead of forcing contested shots and then complaining about not getting a call. Cousins has racked up 40 technicals in three seasons, including 14 this year to go along with four ejections. Once DMC calms down, he will climb this list in a hurry.